Extremely high tariff of Gas , and stupid way of billing. First of all the billing formula is pretty stupid. You pay more than double for 0.01 HM3 increase of usage. Not so steep here , right? For the additional 0.01 usage of HM3 you pay almost thrice the price. For first 4 HM3 you pay (780 * 14.04) = 10951. Flat rates seem so stupid here , a step up in billing could have been a way to go. lootnay walay mazay ker rahe hain, aur unn se kabhi bhi kuch wasool nahe hoga, such a miserable state pakistan is to live! This is happens only when yours love ones left the country on the brink of collapse and its not stop here right, 157 billions debts on Gas company, oh yeah not finishing, LNG price 3 times higher than Australia and Japan, oh yes not finish the expert is hidden in London. Oh forgot to mention, country has debts 3 fold in last 5 years. Experts. Oh yes, many new properties in UK, Belgium, Singapore and Hong Kong. This sort of slab pricing system is there is many company, the more you use the steeper the charges get. But I agree the slab rate increases are somewhat unrealistic. More stupid than unrealistic , going from 275 straight to 780 and then 1460. Ok you want to charge the 'rich' guys but the difference between the rich and poor here is 0.01 HM3. bhai mery ghar me 2 stove, 2 heater aur 1 geaser use hta ha. mera bill 426 aiya ha. mjhy ye smjh nhi ati k koi normal fhar 1 HM3 sa oper bhi kasa jaa sakta ha. Khan kehta tha koi chez mehangi nahin ho gi hum apni tax collections behtar karain gaye... Sala jo bhi ata hay sirf bukwas karnay hi atta hai. Bhai 2 heaters ke sath 426 bill , bro you are luckiest man on this earth. It is really a good blog with back up not only bla bla bl, most of the members here doing. But the formula should not be on flat rate. 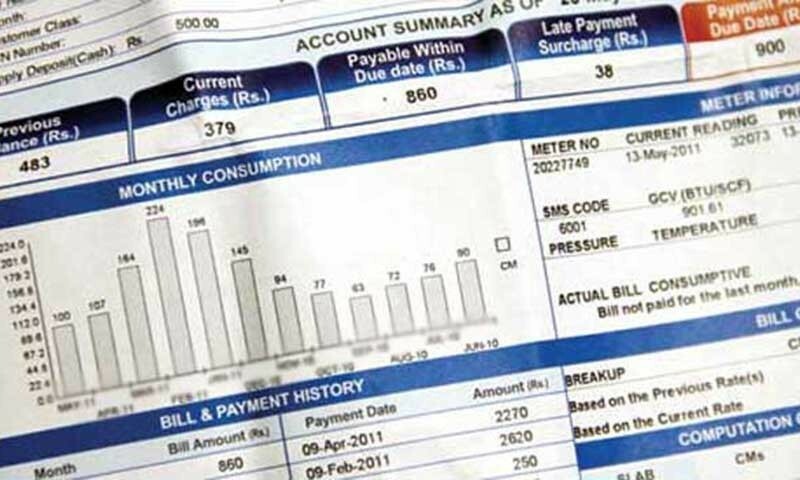 It should be like this (127 * 3.51 + 0.01 * 264 + = 447.64 and same till the top as in electricity bills and Tax calculation. This is just un professional approach, if I have any authority should fire the head of billing department and all the signatory who approved these formula. Even though with the change masses of Pakistan (around 77%) will not get benefits but at-least those who suffer (23%) will get some relief. O bhai ilzaam hee lagana he. Billing formula check kerne ki zehmet kerein bhai.. Dunya ka koi ek aisa mulk bata dein jahan aisee billing hoyee ho? This is a technical fault regarding the slabs which has been identified and IK has been informed about it as per media reports some days ago. They are working to apply a fix for this fault and hopefully people will get refunded too. 4 heaters k sath itna bill? Yaar mere ghar 2 heaters , 2 geysers aur 1 chulha jalta he. I have received 28330. The usage of 4.67 HM3. ہمارے گھر میں چار ہیٹر ضرور چلتے ہیں لیکن شام کے وقت ایسے نہیں کہ سارا دن .. بلکہ پچھلے دنوں شام کو 6 سے 9 بجے تک گیس بھی نہیں ہوتی تو ہم دن کو 3 سے 5 اور پھر 9 بجے کے بعد ہی تین چار گھنٹے چلاتے تھے ..
bhai heater simple bedroom ma 2 ghnta chlta or tv lounch ma 3-5 ghnta.